Formosa, the beautiful island of Taiwan, has received abundant blessings from Gods and has created rich cultures. One of which is the 24 solar terms that dictate people’s daily life. In this performance, you will see the 3 most significant solar terms; the Beginning of Spring, the Waking of Insects and the Spring Equinox protrayed by the Taiwanese martial arts and dragon dance. We have the honor to invite the martial arts master who won the national championship in Taiwan to join our festival this year. Representing the Hawaii Taiwanese Association of American are the National University of Tai Nan & Zuao Nan Middle High School Cultural Performance Groups. 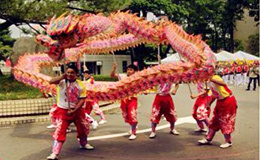 These groups are famous for their solid Dragon/Lion Dances. 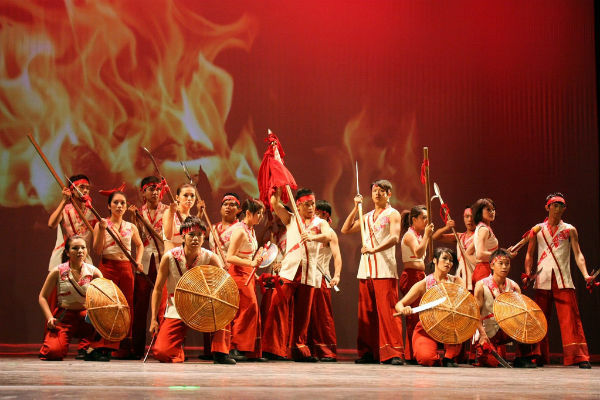 They are also specialized in other cultural arts, sports, and dances such as traditional drum dance and Song-Jiang Jhen Battle Array. Their excellent performance have gained worldwide fame that they are often invited to perform in important national celebration of many countries such as China and Singapore. The age of the team members are ranging from 13 to 24. Their goals are to preserve and promote cultural heritage.